Travis Rosen knows obstacles. 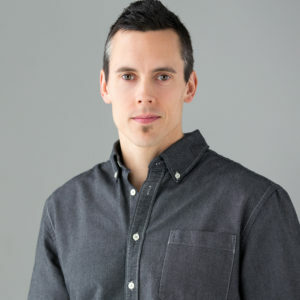 A dad, pro ninja, and public speaker, he’s spent the past nine years aspiring to conquer the formidable obstacle course competition American Ninja Warrior, currently in it’s 10th season on NBC! A former All American gymnast, Rosen—now age 44—continues to overcome the seemingly impossible, earning him nicknames such as The Ageless Wonder and Mr. Consistency. His storied career began in season two, with highlights including being the first American to climb stage four’s 77 ft tower on USA vs The World, being a two-time member of Team USA—as well as captain—and being a top-five finisher, five times. Additionally, Rosen is the only American with eight consecutive trips to the ANW Finals with six stage one clears. He has also enjoyed success as team captain of runner-up Team TNT on seasons one and two of the new ANW: Ninja vs Ninja series (formerly Team Ninja Warrior).